Jenn, Sabine and I are hanging out with Joel Grimes, Joe McNally, Hector Segovia and the folks from the PhotoXperience team for their conference this week (for more on the conference go to http://photoxperience.com.mx ). Today we had a bit of a free day so we went out and did some shooting. Got some time up by the statue of Pipila and made a blue hour shot of the area. 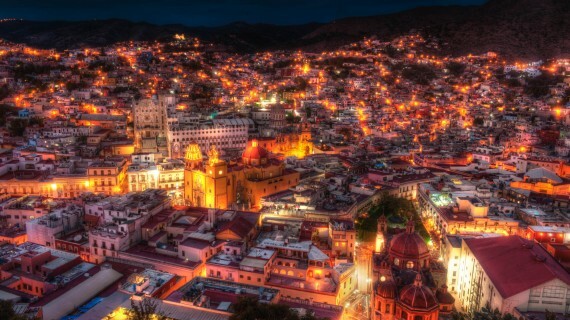 Guanajuato is a city that just explodes in color, but it was nice to see a cool dusk shot there. Beautiful shot RC. The kind that makes people want to see and photograph themselves. After reading about the smugmug switch it sounds like it's time for an update to your web book as well! !